We proclaim the all-embracing love of Jesus Christ. Our church is inclusive where all are welcome, whether joyful, hurting, confident or doubting. We journey alongside all faiths and none as we seek to act justly, love mercy and walk humbly with God, guided by the Holy Spirit. Hi, my name’s Tim Searle and I’m the Minister currently serving United Church Winchester. I was ordained in 2008 with the United Reformed Church following completion of my training at Mansfield College, Oxford. Before moving to Winchester in 2016 I served a Group of United Reformed Churches in Southampton and Chandler’s Ford. I love all the usual things; reading, films, music, spending time with my family and a nice drop of red wine. My passion in ministry is to help churches relate the love of God to the communities they serve, above all do this in a credible and engaging way. To build community through the love of Christ. I hope to see you around! First of all, it was on Sunday 8 September 1974 that The United Church celebrated its formation. Therefore, a special service was held at which representatives of the City, the Methodist District and the URC Synod were present. During the early 1970s, the Winchester Methodist churches began to work closely with the United Reformed Church in Jewry Street. So, after lengthy discussions led by the ministers, the Revd Wallace White (Methodist) and the Revd David James (URC), consequently the congregations resolved to unite in one set of premises. Due to the Jewry Street building being the largest of the three it was chosen, also in view of its position to effectively connect with the life of the city. A key aspect of the agreement was to seek a redevelopment of the building. After several false starts and much negotiation and fund-raising, this finally took place between 1989–91. 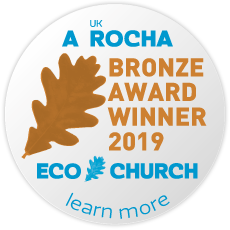 Ensuring that our church responds to the urgent need to preserve and conserve our earth by auditing our church’s impact on the environment and making lasting changes to ensure sustainability; our responsibility for God’s planet. Supporting ourselves and others, of all faiths and none, by embracing Christian mindfulness in which we seek to examine our lifestyles from a spiritual perspective, particularly those aspects that affect our mental health and well being; our responsibility for God’s people. Encouraging spiritual growth. We live in a culture that puts a high value on individualism and material wealth. As a result, in this challenging environment we want to nurture the spiritual needs of all by increasing our knowledge and understanding of God’s Word and what it means for us in today’s world; our response to God’s life-giving Word. Furthermore, we are an outward looking church that works with and supports a whole range of local organisations. This includes those that support older people, provide counselling, and help the homeless or those struggling to make ends meet. Also, we look to how we can support aid work in other parts of the world as part of our wider mission to God’s world. We proclaim the all-embracing love of Jesus Christ. Our church is an inclusive church where all are welcome, whether joyful, hurting, confident or doubting. We journey alongside all faiths and none, as we seek to act justly, love mercy and walk humbly with God, guided by the Holy Spirit. The belief in one God; Father, Son and Holy Spirit. The authority of God’s Word in the Bible which we discern through the guidance of the Holy Spirit. God’s love for the world as demonstrated through God’s Son, Jesus Christ; who, born of Mary lived alongside us, died at our hands, and rose again through God’s saving love to offer new life and hope for all creation. The continuing revelation of God in Christ to the world through the Word, the Sacraments and our common life together. A commitment to be a Christ-like community where all are welcomed and valued regardless of age, colour, creed, religion, gender, sexuality, family makeup or social standing. The call to help all grow as disciples of Christ seeking to live out God’s love, to act justly, love mercy and walk humbly with God. The challenge to care for God’s creation, in its entirety, seeing it as an integral part of our life and witness.